To redesign the social domain, with all stakeholders who are active in the city of Wageningen? A challenge! Especially to do this in a good way, in a period of three months. The plans of four collaborative structures are almost done. Plans to ensure that citizens of Wageningen can participate, receive appropriate care and experience wellbeing. 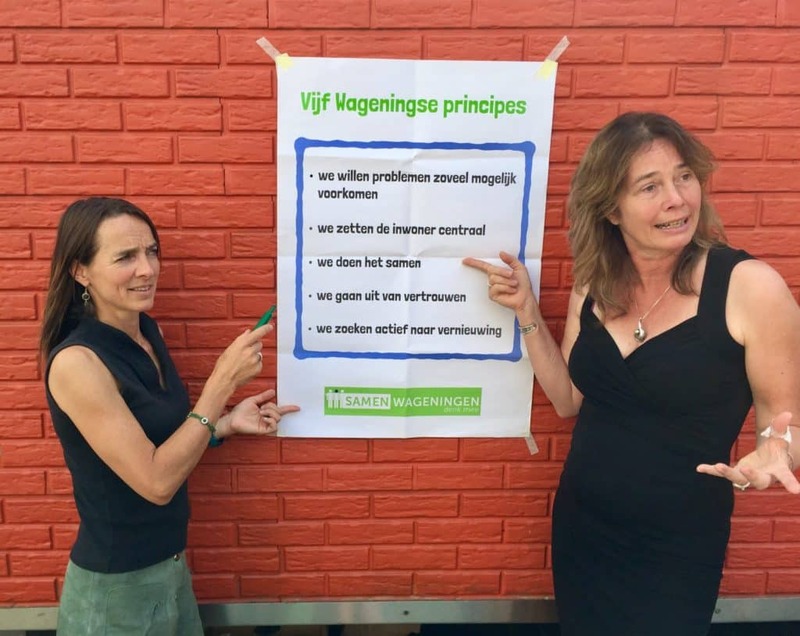 The past few months Hanne Verhoeven and Elien Rogaar, together with Prins in Communication from Wageningen, facilitated these collaboration structures. During sixteen evening sessions (four sessions for each of the four collaboration structures) the parties involved exchanged how to achieve the 40 results that were agreed with the citizens of Wageningen. With less money, more innovation and according to the principles of the policy of the city of Wageningen. Welfare organizations, healthcare institutions, social organizations, independent professionals, entrepreneurs and volunteers designed these plans in a pressure cooker process.